Martha McSally was appointed to the US Senate in December 2018. Previously, McSally served in the US House of Representatives, representing Arizona’s 2nd congressional district since 2015. 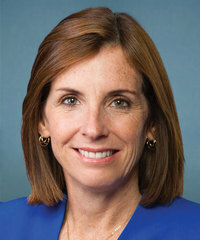 While serving in the US House of Representatives,McSally supported permanent reauthorization of the Land and Water Conservation Fund, but opposed protections for sage grouse as well as the establishment of new national monuments in Arizona and other western states. She opposed limits on public land transfers, as well as limits on methane pollution. Then-Rep. McSally opposed establishing new monuments in Arizona and other Western states. Then-Rep. McSally supported the Land and Water Conservation Fund (LWCF). Then-Rep. McSally supported public lands transfers. Then-Rep. McSally opposed stopping polluters from emitting harmful methane on public lands.